A recent article in The Boston Globe acknowledges the myriad of collateral consequences that can arise as a result of having a criminal record. The article specifically focuses on the difficulties individuals with criminal records have entering the work force. The article states that there are many employers who decline to hire people with misdemeanor or felony convictions, and discusses the fact that, while a criminal record can be sealed, the process has historically been a lengthy one – until recently. In 2012, Massachusetts implemented CORI reform that allowed people to petition to seal their criminal records five years after a misdemeanor conviction and 10 years after a felony (a significant reduction from the previous state of the law, which required people to wait ten years before petitioning to seal a misdemeanor conviction and fifteen years to petition to seal a felony). The change led to a sixty percent increase in the number of people petitioning to have their records sealed. This resulted in a substantial increase in the length of time it took for the sealing process to be completed. 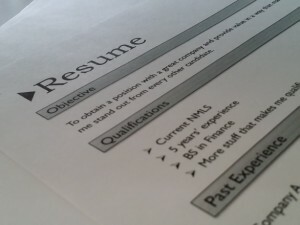 Although Massachusetts employers are generally not allowed to ask about arrests or convictions on job applications, the article states that two-thirds of Massachusetts businesses conduct criminal background checks on all job candidates, and if something pops up, many employers automatically rule out those candidates. The bitter irony of the situation is that the ability to find employment has a substantial impact on recidivism rates. The article notes that two years after being released, twice as many unemployed people had committed another crime compared with those who had jobs. According to the article, in late 2014, the Probation Service started to reconfigure the sealing process, dedicating three staff members solely to reviewing applicants’ Massachusetts criminal histories, and bringing in two additional workers to handle other tasks. Dismissals or not-guilty findings can be sealed immediately, but must be done by a judge. The probation department is allowed to seal non-convictions that are more than five years old for misdemeanors, and 10 years old for felonies. Sealing a misdemeanor or felony conviction must likewise be done by a judge, and, as indiacted above, the petioner must wait five years after the misdemeanor conviction and ten years after the felony conviction before he or she is eligible to petition for his or her record to be sealed. The state of Massachusetts does offer guidelines on how to petition to seal a record. While a person may petition on his or her own, hiring a lawyer to assist with the process, or at least consulting with, may well prove to be helpful, as the procedure may be somewhat daunting to those who are not overly familiar with the criminal justice system. Attorney Daniel Cappetta recognizes the significant hurdles that individuals with a criminal record face. He has successfully helped numerous clients seal their records and thereby take a significant step forward toward better job prospects, better housing prospects, and other benefits. If you or a loved one would like to explore the possibility of sealing a record, contact Attorney Cappetta for a free consultation today.